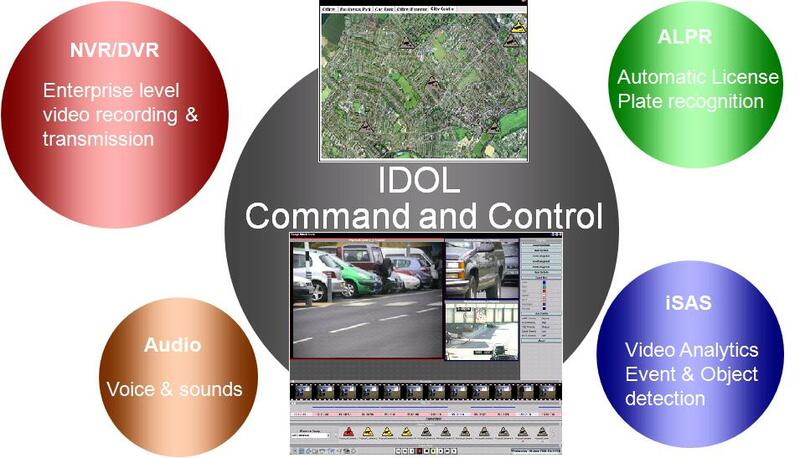 The Intelligent Scene Analysis System will able to detect suspicious behaviors, identifying potential security threats and providing alerts entirely automatically, Its full range of features including advanced VMD, non motion detect, object sizing, object tracking, object counting, Automatic Number Plate Recognition and Audio & Sound Analytics enable surveillance officers to understand the potential significance of any motion or object within view. In order to correctly identify suspicious behavior, it is essential that any object or movement is placed in context. Using advanced techniques, iSAS identifies and categorizes objects in a scene by size, shape, color, speed, direction, location and time of day and, over time, builds up a history of these objects. By then putting each object and motion in context, using techniques such as comparing object histories, VMD, non motion detect, object sizing, object tracking, object counting and behavioural analysis, iSAS enables surveillance staff to interpret the threat that any given object or motion may pose more accurately. iSAS performs multiple levels of recognition and analysis on video data from simple tasks such as identifying movement within a scene through to complex behavioral analysis. Video Motion Detect is the most basic form of recognition which identifies movement of objects within a specified field of view, for example, a person entering a restricted area. Non Motion Detect (NMD) has the ability to recognize static objects within a scene such as unattended baggage in an airport. Users may set parameters to define the types of object which should be detected and also define the length of time an object should be static in order to be classified as a stationary object. Object Sizing - Detecting the size of an object or a group of objects in a field of view alerts surveillance staff to situations which may require a response. For example, where iSAS is used for monitoring traffic flow, if a traffic jam is detected, surveillance staff can be alerted immediately and if necessary, an additional lane could be opened to ease congestion. Object Tracking - In addition to identifying objects, iSAS can track objects entirely automatically between multiple cameras. While an object remains in a field of view, it is tracked automatically using the coordinate information to control a Pan Tilt Zoom (PTZ) camera. Object Counting - By automatically categorizing identified objects into known types, iSAS can generate counts for different categories. Multiple counts can also be configured, for example, iSAS can count the number of cars entering a car park and the number of cars leaving simultaneously. Behavioral Analysis - Behavioral analysis offers the most advanced form of scene recognition. Once an object has been identified and is being tracked by iSAS, the system is capable of employing more sophisticated techniques for further analysis. iSAS is able to differentiate between various scenarios by placing all identified behavior within the context of normal behaviors as specified by the user. By applying an associated motion history to an object, iSAS can automatically undertake complex behavioral analysis in order to recognize unusual or suspicious activity and alert surveillance staff to this immediately.